Creating notes and annotations in educational content during learning helps students in better organization of learning materials. In addition, the provided content represents an interesting source of information for further processing, which can result into enrichment of the educational content or metadata. In this paper we report on new type of annotation - definition - in educational system ALEF – a mean for creating, accessing and rating definitions of key terms in a course by students themselves. 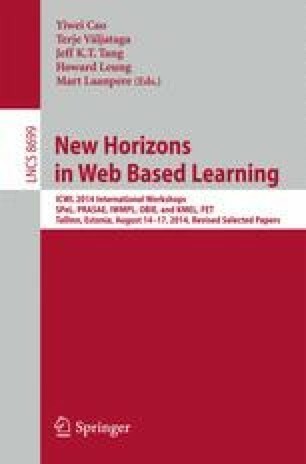 We describe experiments conducted and present analysis of definitions provided by students of two courses at Slovak University of Technology. This work was partially supported by grants No. VG1/0675/11, KEGA 009STU-4/2014, and APVV-0208-10.